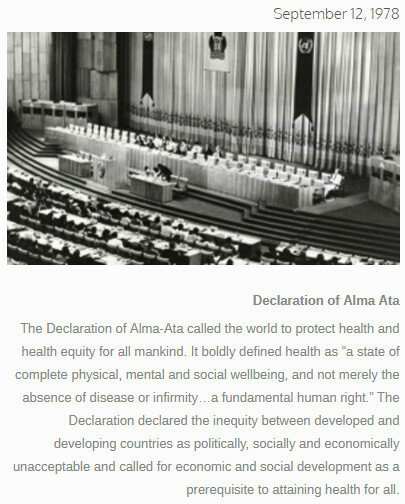 On the history page of Seed Global Health, there is a photo and a description of the Declaration of Alma-Ata. Alma Ata is in Kazakstan. 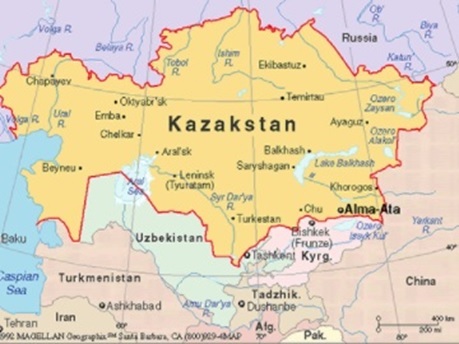 In 1978, Kazakstan was a member state in the Soviet Union under communist rule. Most people’s perception if they know anything at all about the United Nations is that U.S. participation in the U.N. system is primarily focused on the Security Council. The Security Council focuses on the relations between nations. That is a wrong perception that was created in the minds of the public – not by overt media lying about it. Rather the wrong perception was created by the withholding of information on the significance of the Economic and Social side of United Nations activity. One need only to reflect on the amount of mainstream news coverage on Agenda 21 – keeping in mind that it began as a program of action in 1992. 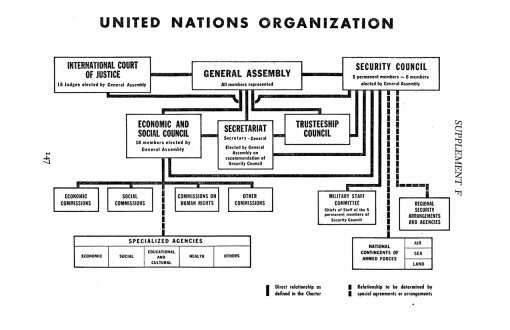 The following is a graphic of the original organization of the United Nations as it was in 1945. 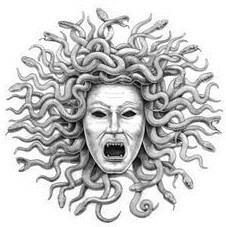 Since 1945, the Economic and Social Council has sprouted so many organizations, they are like a medusa of communist organizations who plan means and methods of redistribution of wealth from the developed countries. Keeping in mind that the United States is one country and has one vote. The United Nations system is a classic example of democracy – parasitic democracy. They vote for programs that the American people are supposed to pay for and implement. The Declaration of Alma-Ata – Health for All is case in point. To understand how the system works, one need only look at the U.S. Industrial Base. What happened to it? It was exported to third world countries. You’ll understand why by reading an article written in 1991 by the Editor of the “American Engineer” a publication of the Association of American Engineers. 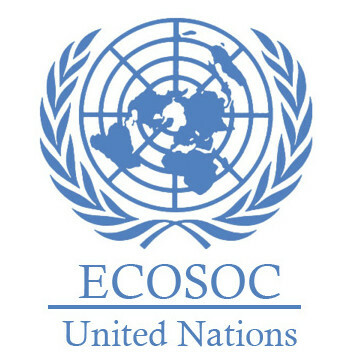 The New International Economic Order was passed by the U.N. General Assembly in 1974. The reference to it in the Declaration of Alma-Ata should explain to the reader the impact and application of the New Order. The Declaration of Alma-Ata is to health care what UNIDO’s Declaration Lima Declaration was to American Manufacturing. 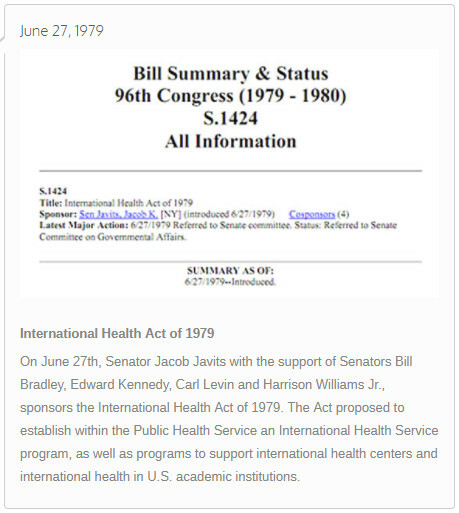 On the World Health Organization website, on the page that is titled Global Health Histories – Selected Links is the graphic on the left. Notice that the title of it is Illustrated Landmarks is the history of WHO. That should explain to you how critically important the Declaration of Alma-Ata is and was.